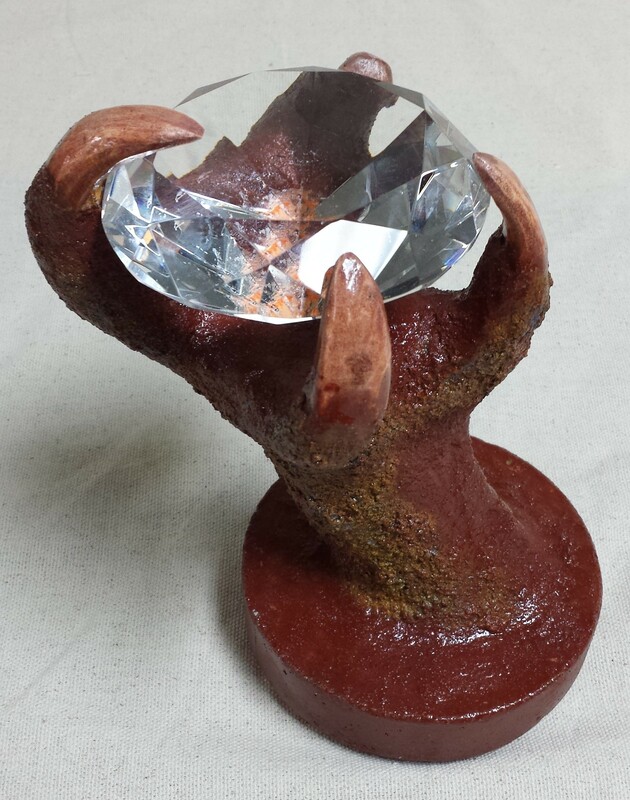 The Dragon claw holding the gem is 8.5 inches tall. 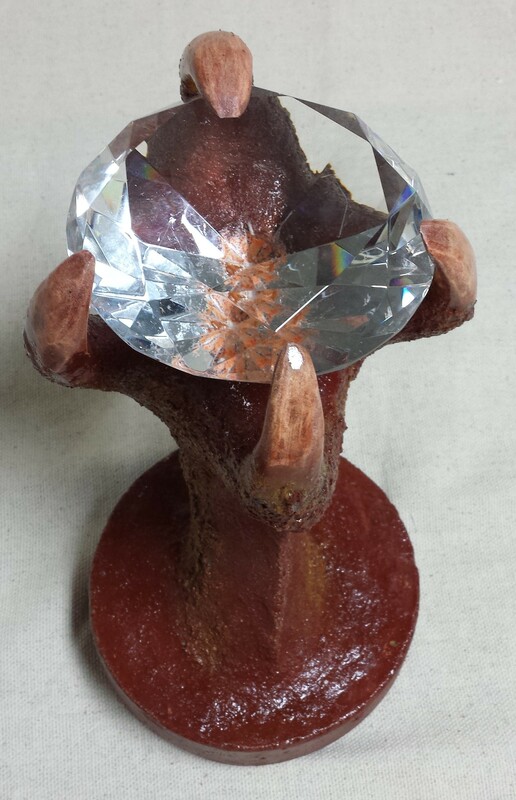 It is 5 inches in diameter at the base and weighs 4 pounds, 11 ounces. The gem can not be removed from the claw. The Dragon's treasure took 55 hours to create.